i need help buying my first pair of oxfords! i’ve wanted them for more than six months and will finally be ready to go for it in the next couple months (yes, i am very slow to make decisions and also have to be budget-conscious because there are so many things on my wants list). i can’t decide if i want flats or heels…or both! 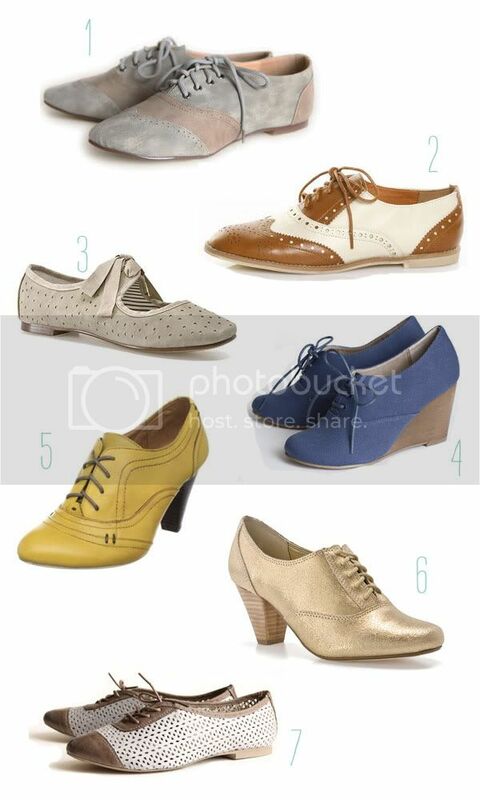 i’d wear them with colored tights and dresses in the winter, and with skirts, shorts and dresses in the summer.